The 2012 NFL Draft is ready to take over our next weekend. Both local squads have either a lot or some holes to fill through the draft. The importance of the draft to next seasons success is vitally important to both squads. By now, we’ve all read the articles proclaiming who the Vikes and Pack should take. But, there’s been little discussion on the past success, or lack thereof, for the squads. This is what we, here at Border Rivals, have decided to analyze in order to offer a fresh take on the upcoming draft. 0 – A complete bust. The player has contributed nothing or next to nothing in stats. 1 – The player has played in some games and accumulated very little in stats. 2 – A key backup that may occasionally start. This may also be used for a below-average starter. 3 – An average starter – the definition of A.J. Hawk. 4 – An above-average starter. This player starts every game and makes an impact in the game. 5 – A player on verge of making a Pro Bowl. A difference-maker, but not quite to that elite level, yet. 6 – Any player that has been selected to the Pro Bowl. We then calculated the average rating for the players selected in each round over the years. This allowed us to determine the relative success each team has had in drafting players in each round. Finally, we determined the “hit rate” for the percentage of time each team has hit (any player rated 3 or above) on a player – no matter the round that player was selected. Our goal in this analysis is to not only determine the average rate of success each team had from 2005 to 2010 (we did not rate players taken in the last draft because it’s too early to make determinations on many players), but then to also determine the success each team has had in each round – after all, each team should draft well in the first few rounds on a routine basis. We had hoped that by creating these objective standards for rating each player, our own subjectivity would be limited. Admittedly, some of the calls – particularly on whether a player is a 1 or 2, or a 4 or 5 is subjective. 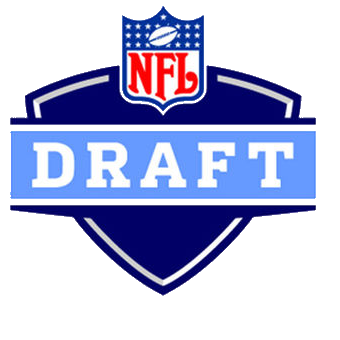 Still, our analysis provides unique insight into showing the importance of the draft. Since 2005, TT has unwaveringly relied upon the draft to build the Packers roster into the championship team it has become. Agonizing at times, this approach has clearly worked for TT. The roster is riddled with both early and late round selections that have developed into reliable starters. Over the 58 selections in the 6 drafts between 2005 and 2010, TT has hit on 21 of those selections – good for a 36% clip. 6 of those 21 players have developed into Pro Bowlers, including one MVP and a second-place finish in the Defensive MVP vote: Aaron Rodgers, Clay Matthews, B.J. Raji, Nick Collins, Greg Jennings, and Josh Sitton (although he’s never been selected to a Pro Bowl, Sitton was voted the Offensive Lineman of the Year by the 2010 NFL Alumni – which deserves a 6 rating in our book). 3 players are on the fringe of making the Pro Bowl (a 5 rating) – JerMichael Finley, Jordy Nelson, and Bryan Bulaga. And two became above-average starters – Desmond Bishop and Mason Crosby. There is no debating the fact that TT’s first selection – Aaron Rodgers – was his best. Frankly, it was also the gutsiest. Remember, the Pack still had a mid-thirties Brett Favre that had given no indication that he was ready to retire (and unretire, retire, unretire, and retire again). To take a QB with the first pick, knowing full-well that doing so would irritate – to say the least – the franchise player is a move only made by a person confident in his abilities. But, this was not the only bold move made by TT in the first round over the years. In 2009, TT moved back into the first round – giving up a number of picks – to acquire Clay Matthews to go with B.J. Raji – the 9th pick in that draft. Add in Bryan Bulaga (while also subtracting the Justin Harrell pick), and TT’s success in the first round is impressive with a 4.5 average rating. TT has had equal success in the second and third rounds – averaging 2.89 and 2.8 respectively. He’s added Nick Collins, Greg Jennings, Jordy Nelson, and JerMichael Finley in those two rounds. TT’s fourth round number is an inflated 2.1 average because of the Josh Sitton selection. He nabbed the starting left guard, T.J. Lang, also in the 2009 4th round. Interestingly enough, TT’s worst round over the years has been the fifth round, where he averages a meager 1. The only players of note in this round are from the 2010 draft – Andrew Quarles (a 2 rating) and Marshall Newhouse (a 3 – admittedly, this may be a reach, but I’m convinced he’s the starting LT of the future, good enough for a 3 in my book). TT’s seventh round average is 1.33, with his best pick being Matt Flynn. I skipped the sixth round so I could highlight it. I have always maintained that TT has made his money the most in the late rounds and even undrafted free agent pool. TT’s sixth round average of 2.1 is a testament to this. He has found four starters, two of which are above average – Bishop, Crosby, Johnny Jolly, and James Starks. He’s also added two decent backups in Korey Hall (a pretty solid special-teams player when he played for the Pack) and Jarius Wynn. As the numbers demonstrate, TT has success through all rounds of the draft. He finds key players, whether they are starters or not, that contribute to the team’s success. It is only because of this draft success that the Packers are poised to become a Super Bowl contender for the next several seasons. In sharp contrast, the Vikes have relied upon free agency to build the team. This strategy brought them one classic-Favre-heartbreak from a Super Bowl berth in 2010. But, this strategy, along with poor results in the draft, help explain why the Vikes have the 3rd overall selection on Thursday night. Over the 39 selections between 2005 and 2010, the Vikes have hit on only 11 of those selections, good for a 28% clip. 1 of the 11 is a Pro Bowler, AP, and only 1 more is on the verge of a Pro Bowl berth, Percy Harvin. There are only 2 above-average starters: Chad Greenway and Ray Edwards. The remaining seven players are Cedric Griffin, T. Jax, Sidney Rice, Phil Loadholt, Brian Robison, John Sullivan, and Jamarca Sanford. Over nine picks in the second round, the Vikes average 2.4, grabbing all 2’s and 3’s in this round. Not one player developed into an above-average starter. No, Sidney Rice’s one-season with Brett Favre does not make him an above-average starter. Worse, the Vikes average 1.7 for the 3 selections in the third round: Dustin Fox, Marcus McCauley, and Asher Allen. Yuck. A 2.5 average in the fourth-round is respectable. This average is based on two players: Ray Edwards (who is no longer on the team anymore) and Brian Robison, his replacement, who has started only one full season. From here, it gets ugly for Vikings fans. The Vikes average 0.86, 1, and 0.8 in 5th, 6th, and 7th rounds, respectively. Out of the 18 selections in these three rounds, only two became starters – John Sullivan and Jamarca Sandford – and the rest are either a 1 or 0. Overall, the Vikes have drafted a bust or near bust in 20 of the 39 selections, a clip of 51%. This number, along with the only 1 Pro Bowler selected in this time frame, helps explain why the Vikes have needed free agency over the years to be competitive. If there is ever a clearer answer to why the Vikes have the 3rd pick in this draft, while the Pack have the 28th selection and are only one year removed from a Super Bowl victory, that answer is the relative success each team has had in the drafts. Not only have the Packers hit on a higher percentage of their picks, but the Packers have also selected better quality of players, shown by the 6-to-1 ratio in Pro Bowlers selected. And, here is our work so you can scrutinize yourself: Local Squads. We recognize there will be some debate about our ratings and/or system. Please keep the comments coming so we can fine-tune it as we move forward. This entry was posted in Vikes v. Pack and tagged 2012 NFL Draft, Aaron Rodgers draft, Adrian Peterson draft, Clay Matthews draft, Green Bay Packers draft, Minnesota Vikings draft, Packers draft busts, Packers draft record, Packers draft success, Percy Harvin draft, Rick Spielman, Rick Spielman draft record, Ted Thompson, Ted Thompson draft success, Vikings draft busts, Vikings draft failure, Vikings draft record, Vikings draft success. Bookmark the permalink. Here’s another perspective: The disproportionate time, attention, and energy invested in early-round draft picks are warranted, at least if the Packers are representative. Of the 2011 offensive “starters”, and excluding the single undrafted free agent, the 10 remaining players included two first-round picks and an average “draft-round rank” of 3.5. Of the 2011 defensive “starters”, and excluding the single undrafted free agent, the 10 remaining players included 5—count ‘em 5—first-round picks, with an average “draft-round rank” of an even higher 2.8. The 20 on both sides of the ball included 10 players drafted in rounds 1-3; only 5 were drafted in the sixth round or lower, although lower-round picks play key roles as backups or bargaining chips. If the past is prologue, it appears likely that future Packers’ front-line starters will come predominantly from the first three rounds of the draft, another illustration of why very careful spending of early-round draft currency combined with canny “trading-up” strategy are crucial.